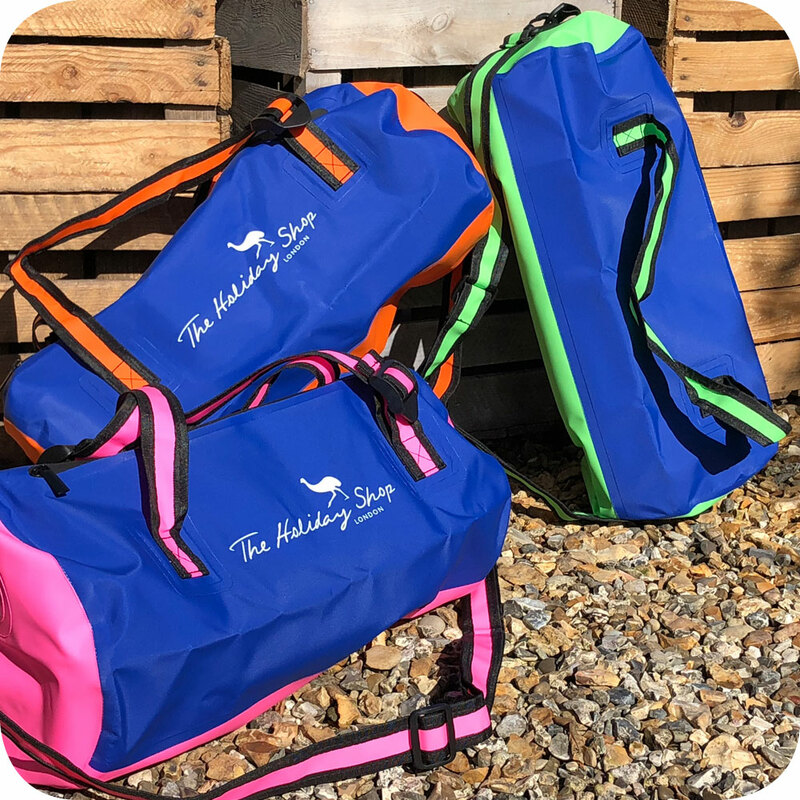 Designed and produced exclusively by us these 20L unisex holdalls have been a smash with all. True to our ethos of bright colours; this addition to our dry bag range is dual coloured, packaged compactly but expands generously. It is great for overnight, weekend or gym use. With double handles and a shoulder strap it is flexible and easy to carry when riding or walking. It is an ideal waterproof accessory. From packing flat to rolling out and filling, these favourites come in 5 colour choices. Each colour offers a range of 3 sizes, helping ensure that big and little people benefit. Easy to carry by strap or handle, these are a ‘must have’ for protecting your belongings by keeping them dry.